Kingston, Ontario ... generally recognized as the "freshwater sailing capital of the world", has the best of 2 cruising worlds -- open water sailing in Lake Ontario with its many well protected overnight anchorages, including easy access to scenic Prince Edward County, OR big river cruising in the unmatched beauty of the Thousand Islands in the St. Lawrence river. There, anchorages abound and overnight stops at small riverfront towns are a real treat. At Kingston Sailing Charters we believe that a "bareboat" charter yacht has to be extremely well equipped, extra clean and in excellent condition, with all systems working. This is the standard we set for ourselves. 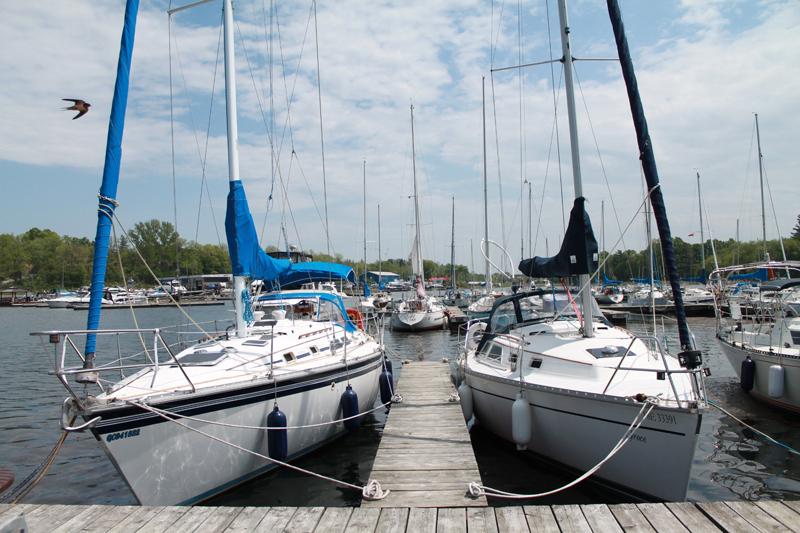 A look at our Yacht Equipment List tells part of the story.